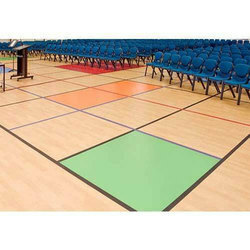 Offering you a complete choice of products which include multipurpose hall flooring, indoor sports flooring, pu sports courts flooring and path way rubber flooring. 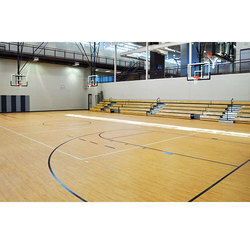 Our firm specializes in providing our prestigious clients with a classy range of Air Multipurpose Hall Flooring. This flooring is designed using excellent quality raw material and cutting edge technology, in compliance with industry standards. Our offered flooring is tested on various parameters under the guidance of our. Keeping in mind the diverse requirements of our clients, we provide this flooring in different sizes and designs. In addition to this, clients can avail the offered flooring from us in various attractive designs and at affordable prices. 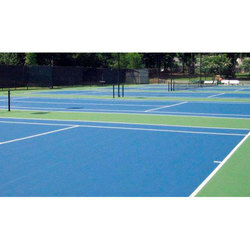 and the layer and painting for surface is featured in wear-proof, anti-slipping, beautiful and endurable for use as suitable for any ball field. 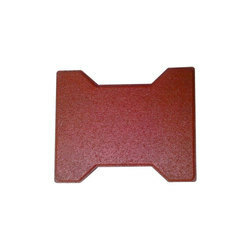 With the constant support of our dexterous crew of professionals, we are fulfilling the varied requirements of clients by offering optimum quality Path Way Rubber Flooring. The offered flooring is designed under the visionary guidance of skilled craftsman using finely finished raw material and sophisticated tools in compliance with set industry norms. We offer this flooring in number of sizes and designs as per the specifications laid down by our clients.